Looking for elopement wedding packages in the Adirondacks? 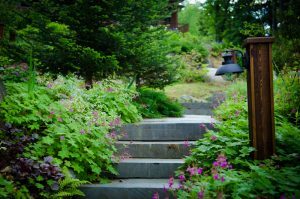 The Fern Lodge has been the scene of many an Adirondack honeymoon, engagements, elopements and wedding/commitment ceremonies. 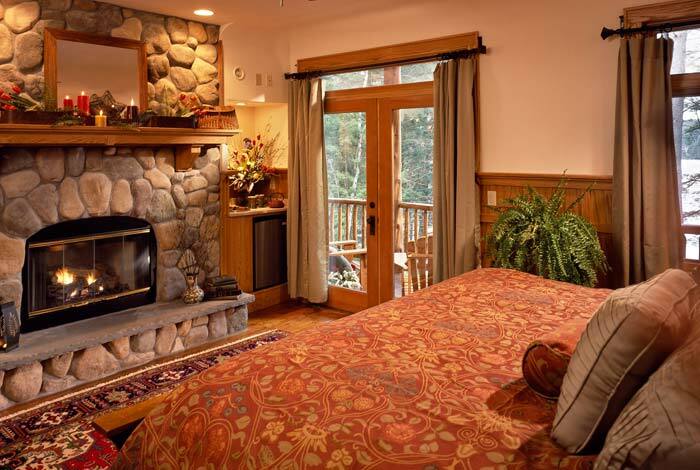 The Fern Lodge is a very intimate and romantic atmosphere – both inside and out! We specialize in parties from 2 persons to 22 persons. There are many public rooms of the Lodge, sitting areas, and patios outside. 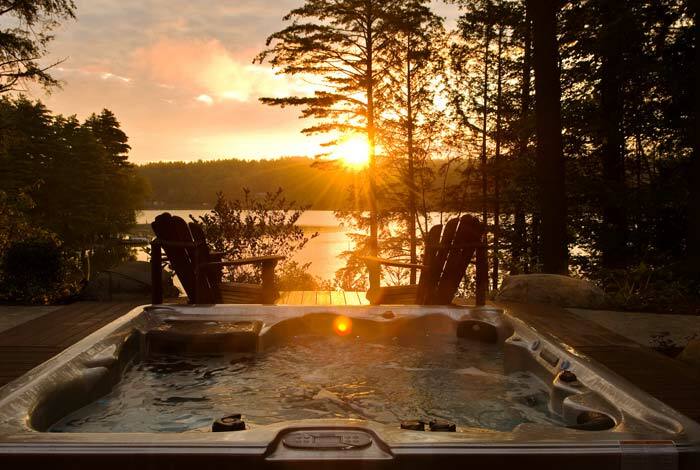 Favorite places during an Adirondack romantic getaway include the Great Room sofas in front of the fireplace, the outdoor front screened in porch with fireplace, especially in the evening when you can here the loons call. There is a fire pit lakeside with Adirondack chairs and the boathouse deck. 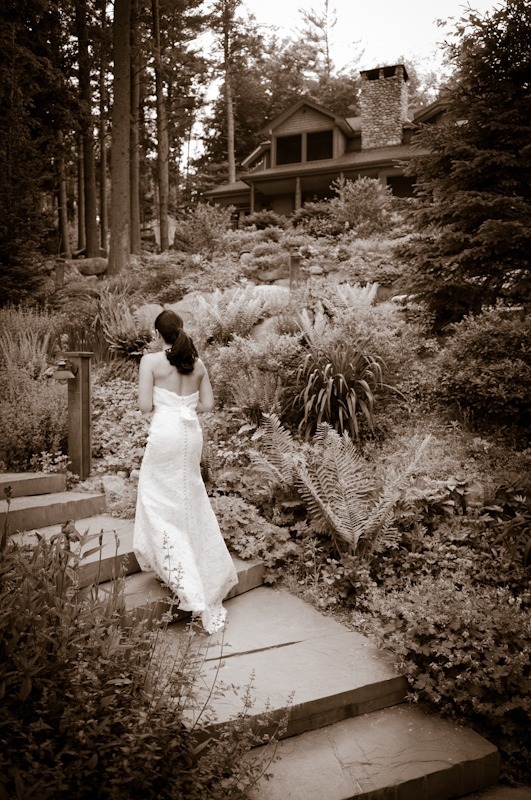 The Gardens are a magnificent setting for your romantic nuptials. All locations are perfect for an engagement or a wedding ceremony (for up to 20 guests.) Note: For receptions of more than 22 persons please consider the nearby Burlap and Beams Wedding Barn Venue for the quintessential Adirondack wedding. 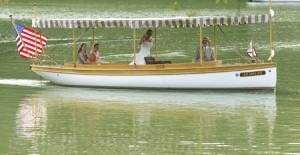 personalizing your wedding to create a lifetime of memories! And as a gay friendly lodge in the Adirondacks, we also have the resources to help plan your beautiful wedding or commitment ceremony. 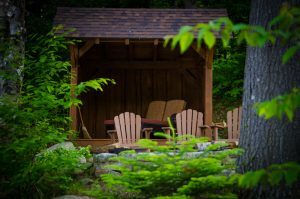 Our luxury Adirondack lodging includes a choice of five intimate guest rooms that are uncommonly comfortable – both rustic and elegant. Read just a few of our many guest reviews. We are happy that our guests enjoy our Adirondack lodge as much as we do. 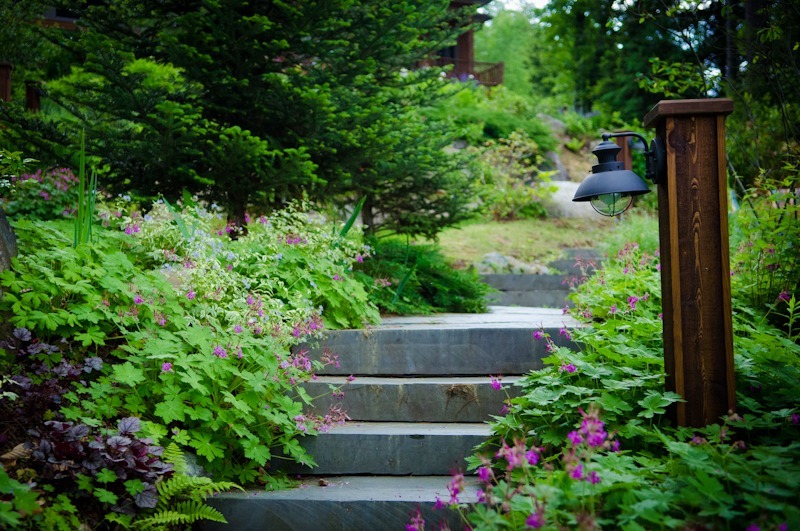 Relax and enjoy Adirondack lakeside living this summer with the stunning beauty of the rustic surroundings. Get the latest offers from Fern Lodge! 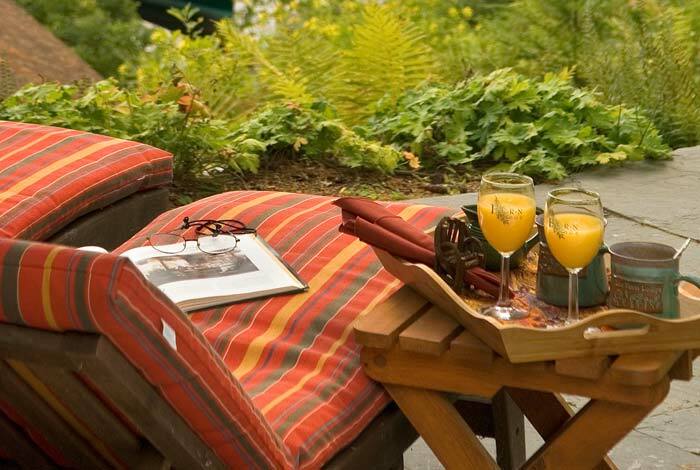 Lodging Website Development by Mannix Marketing, Inc.
We have packages for everyone from Romantic Adirondack Getaways, 3 nights for the price of 2, to Seasonal Packages with skiing tickets to Gore or whitewater rafting trips down the Mighty Hudson River Gorge.